Objective: Given a graph, check if the graph contains a cycle using disjoint set. 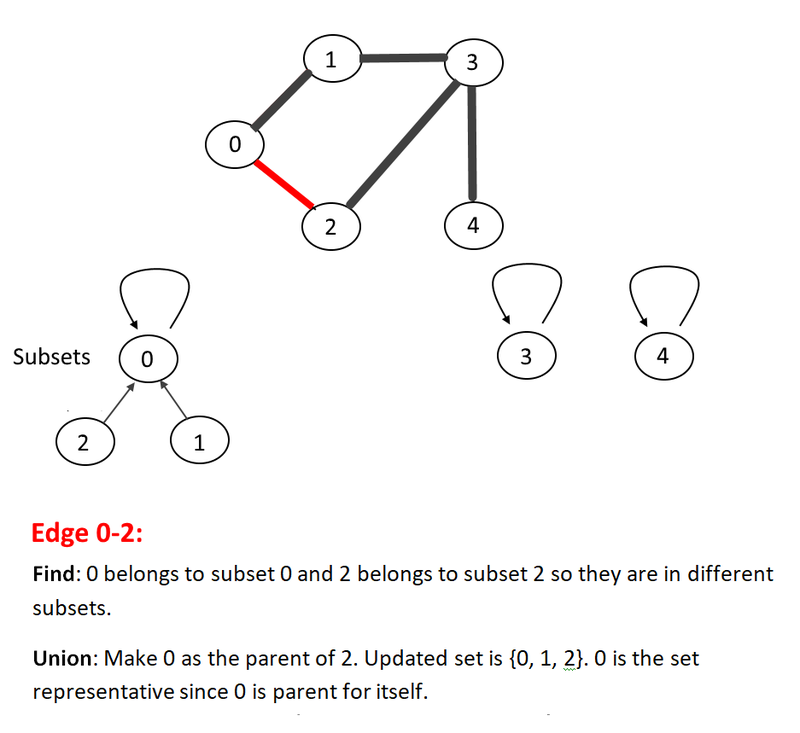 Note: Disjoint-set data structure, also called a union–find data structure or merge–find set. 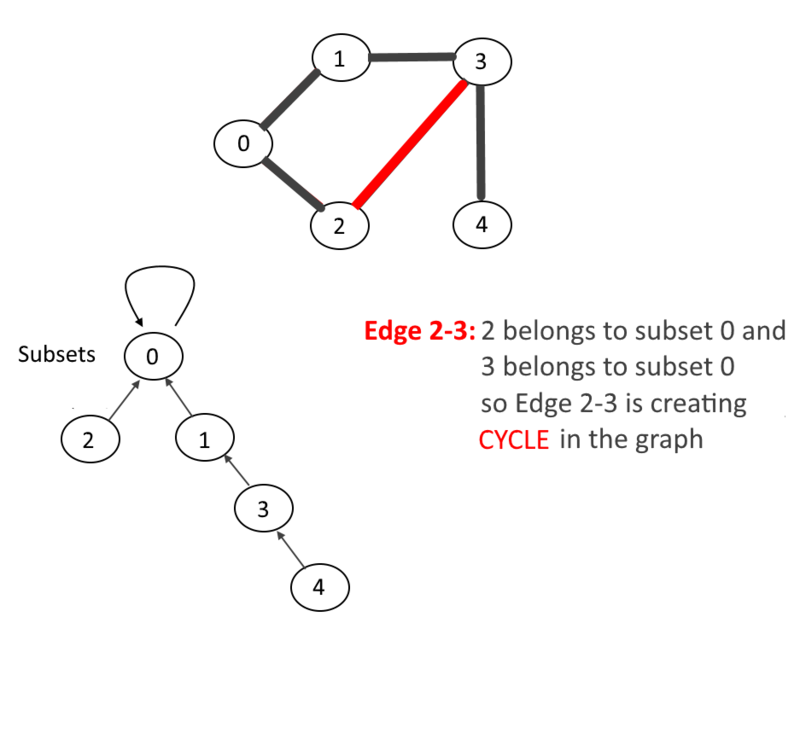 Earlier in Detect Cycle in Undirected Graph using DFS we discussed about how to find cycle in graph using DFS. 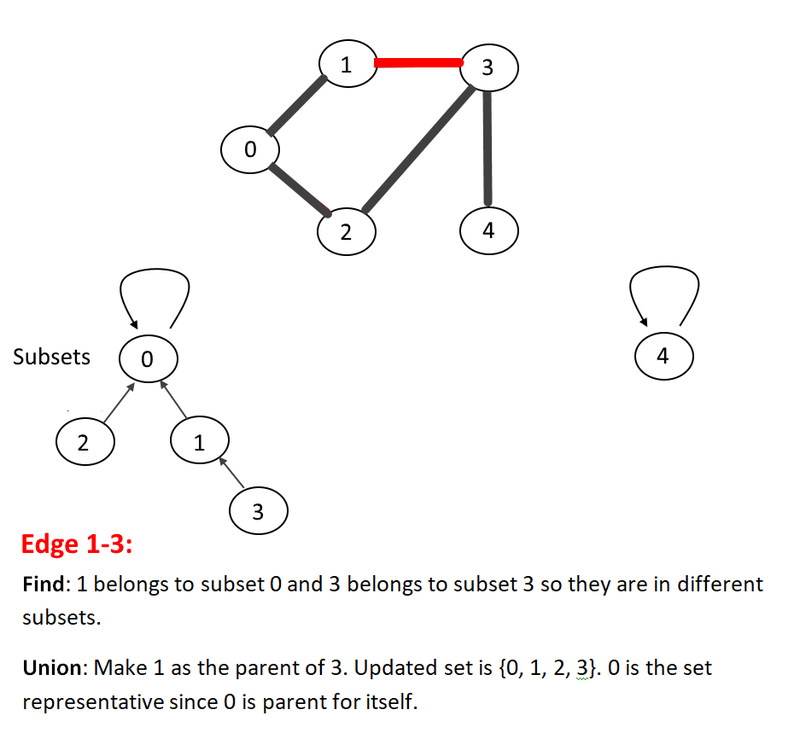 In this article we will discuss how to find cycle using disjoint-set. 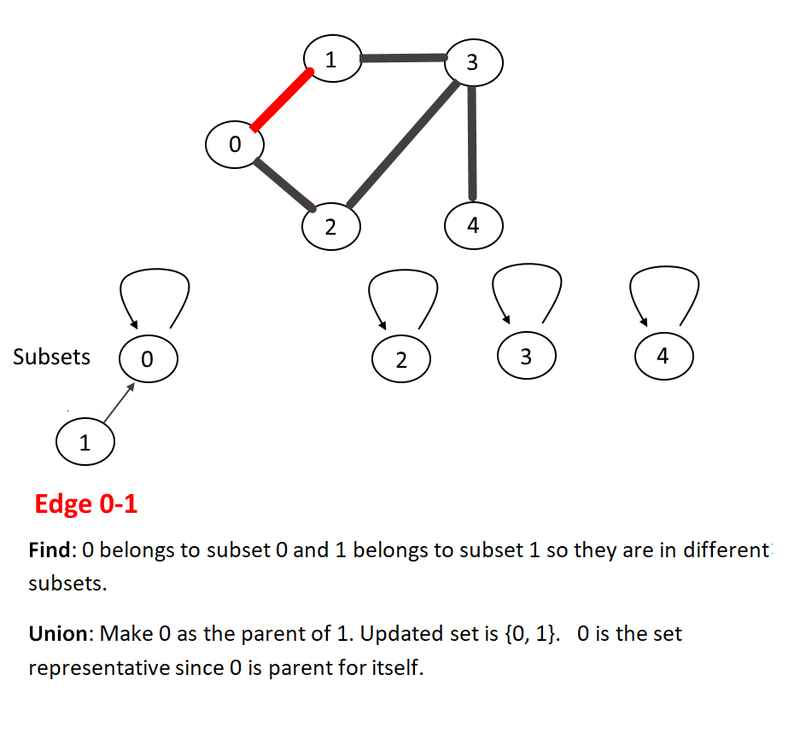 It is strongly recommended to read “Disjoint-set data structure” before continue reading this article. 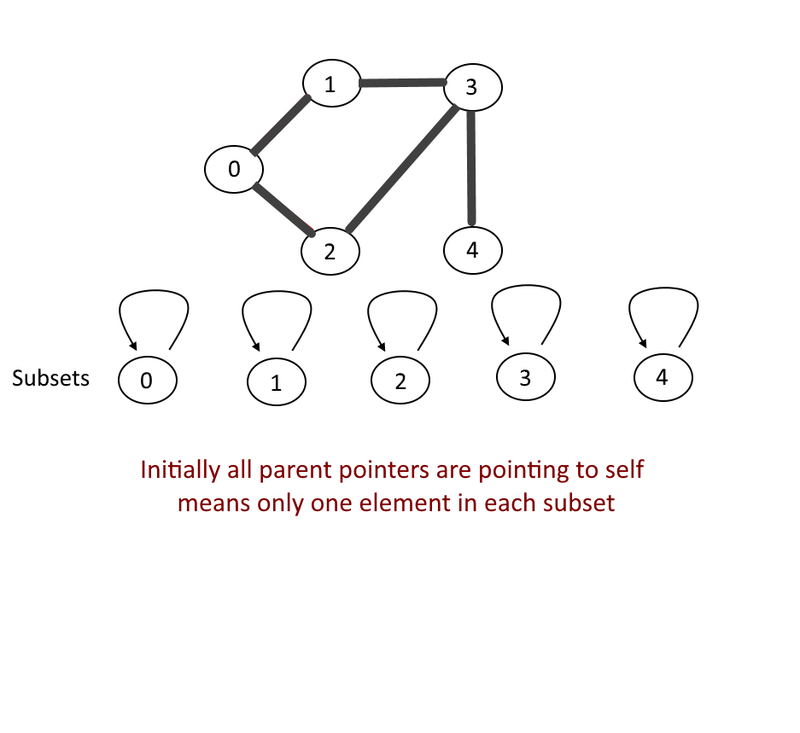 The makeset operation makes a new set by creating a new element with a parent pointer to itself. 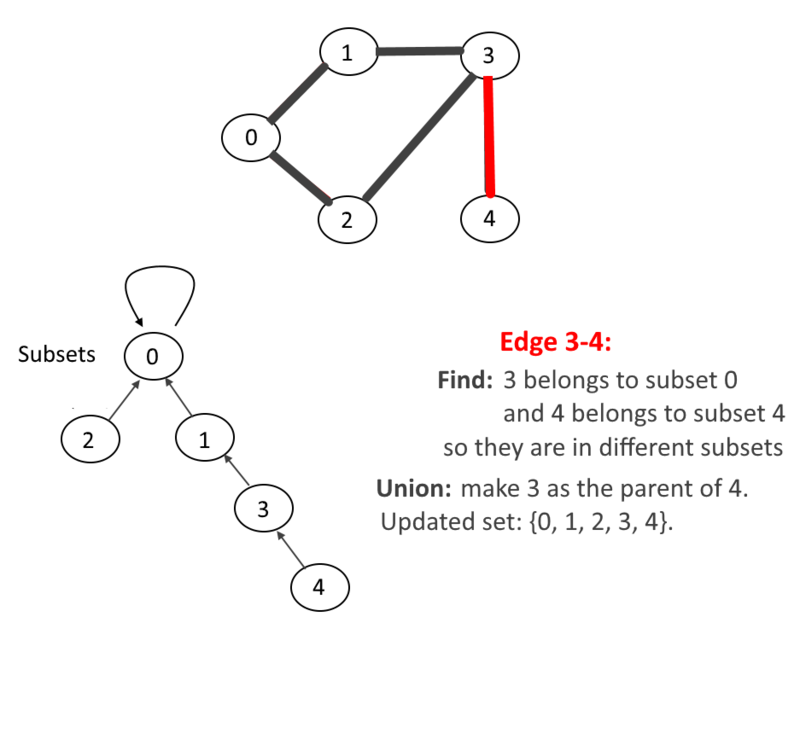 Then process each edge of the graph and perform find and Union operations to make subsets using both vertices of the edge. If find operation on both the vertices returns the same parent (means both vertices belongs to the same subset) then cycle is detected. 233 queries in 0.117 seconds.